We were thrilled to receive news that two of our recent projects; 114 Mill Road and 188 Histon Road (Lawrence Hs), have been shortlisted within separate categories for this years Cambridge Design and Construction Awards, run by Cambridge City Council and Cambridge Forum for the Construction Industry. Awards are always a fantastic boost for everyone involved in a project, particularly when so many of the small businesses and people involved have contributed to a project in such a positive way (as so often they do) with the sole aim of doing a great job. For us as architects and authors of the designs, it is hugely satisfying to reflect with clients on the decisions they made and the trust they give to us, to deliver a project from start to finish. It is only unfortunate that we cannot help a wider audience of public clients to design and deliver similar projects. However, we hope the design of the buildings will be enjoyed by the people that use and experience them in the future. We'd like to thank all those that contributed, to both of these projects throughout the process and hope that they too, feel good about what we've created. The completion of two larger projects on Histon Road and Mill Road earlier in the year has allowed us to nurture a number of small scale projects, which by no means are less challenging. Our attention to detail is just as critical and has required an altogether Herculean amount of patience and understanding from our clients, as we make steady progress through the various hoops and hurdles of the planning system. Seeking builders that have the skills with a similar outlook to small project demands has also revealed other design avenues for this scale of project. As we draw closer to this years end, two of these small projects are due to start on site. Pegg's Cottage is a Grade II Listed building with 20th Century additions. Having considered and dismissed a number of alternative houses and locations, our clients who requested our opinion on design and layout opportunities 'pre-purchase', will shortly commence works to extend an existing breakfast/dining room and remodel the first floor accommodation. New contemporary glazed additions will be complemented by repurposing existing field flint walling to make a stronger connection with the secluded garden. Ferry Path will also commence some enabling works initially, before getting under way early next year. An 80/20 ratio of 80% effort required to complete the final 20% of a build programme is a common theme in construction. 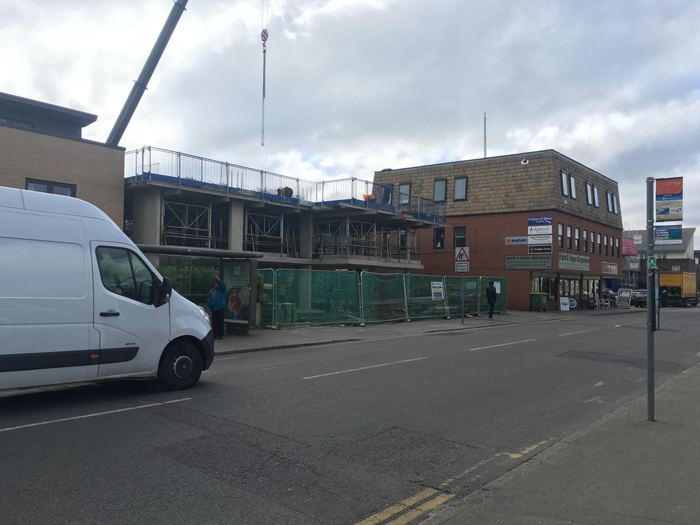 Despite the careful consideration of construction sequencing and all the efficiencies of MMC (Modern Methods of Construction) employed during the design stage, our site on Histon Road could become another casualty of this statistic! Nevertheless the final push is exciting. All three storeys are up, it will be weathertight any day now and the arrival of the pre fabricated off site cladding is imminent. This residential development in central Cambridge is a bit different. The building is a hybrid of construction techniques, cherry picking the best approach for each component based on long term sustainability, performance in use and value for money. The building has a concrete frame at its core, double insulated timber framed infill walls and roof and a predominantly brick and metal rain screen outer shell. The buildings services are future proofed, supplied substantially from renewable sources. Each dwelling will be fitted with a Danish Nibe Energy System that combines ventilation and heat recovery, water and space heating into one - no clip on renewables at roof-level here! Aspirations for the completed building are high and we are working closely with our contractor, PB Doyle to deliver our second new-build in Cambridge, in 5 years. 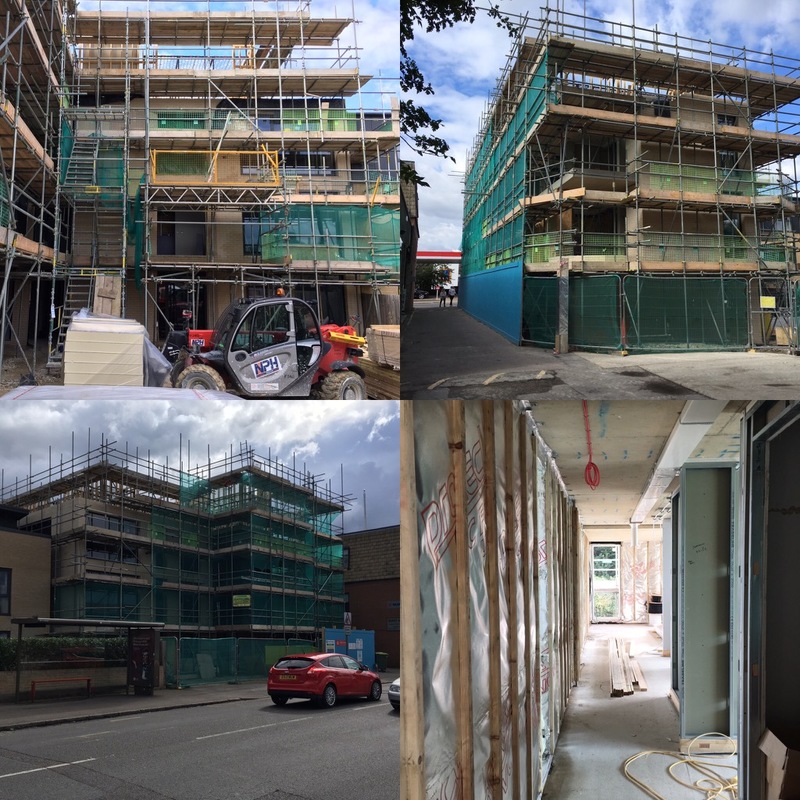 Our Histon Road residential development is taking shape. The project uses a hybrid superstructure to take full advantage of material performance in use characteristics. The building will use open timber frame panel construction to create an energy efficient envelope while maximising internal floor space and enabling a large amount of natural daylight through large glazed openings. Many thanks for all those that helped in the design and construction of Nelson Court, which in the last couple of months has received two awards. 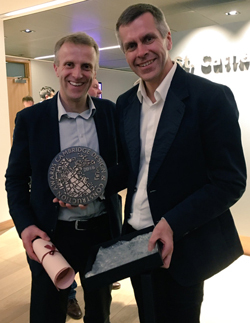 The first in the hotly contested Cambridge News and Media - Cambridge Property Awards 2016 'Small development of the year' and recently the Cambridge Design and Construction Awards - Best New (small) Building 2016. We are delighted for our client and for all those involved who helped deliver studio24's first building! Our project 'Nelson Court' has been shortlisted for 'Best New (small) Building' in the Cambridge Design and Construction Awards! It's exciting times and very encouraging for our young practice to be recognised locally for the quality of work and approach. Shortlisted works will be presented on the 13th March at a special event organised by Cambridge City Council and the CFCI. 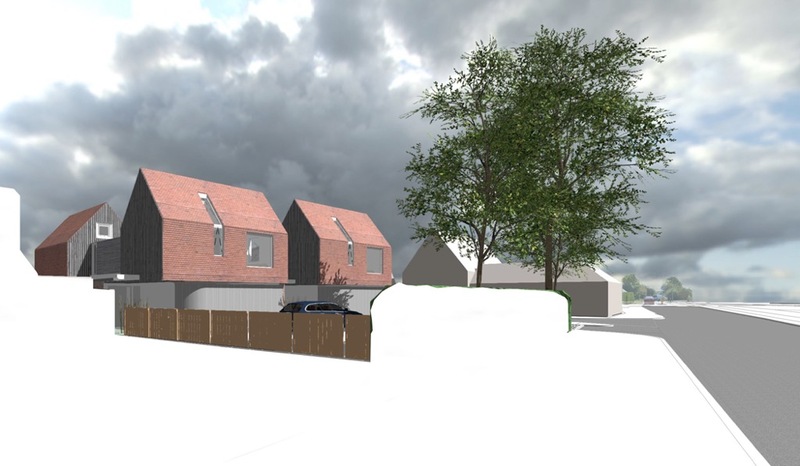 Pleased to announce the approval of two new homes. The designs explore ideas about developing within an established village location, while evolving a well known building typology. The project we've nick-named 'Rural Evolution' draws upon the site's context and surrounding buildings to devise a design narrative based around familiar rural forms specific to the site and it's location. Orientation and massing were a key factor behind the design. Building projects are all about people, so to help give an insight into who we are and what we do, we will be sharing project progress, personal opinions, news and a few general interest items here!